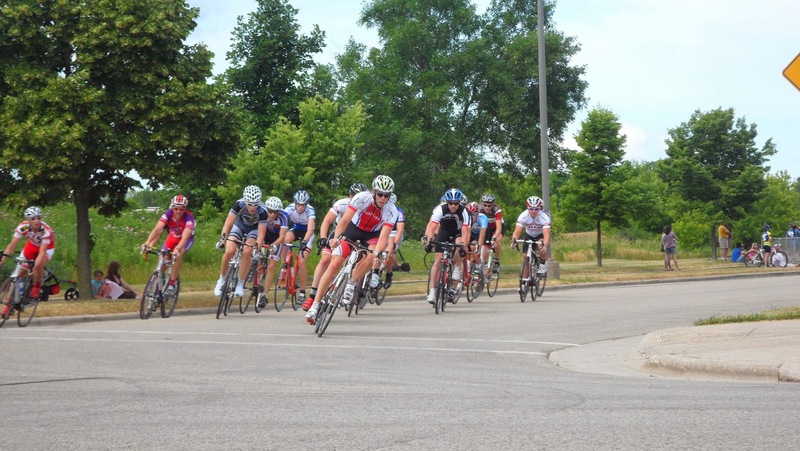 Practice criteriums will take place on Tuesday evenings in May and June. The crits are a great opportunity for new racers to learn crit racing skills and for experienced racers to work on their skills. The B race starts at 6:30 pm for about 30 minutes, and the A race starts at 7:10 pm for about 50 minutes. Note: During the B race, experienced racers will be available to "shadow" B race riders (for those who are interested) and provide in-race "instruction." The course is located at the UW Research Park on Madison's west side, and is approximately a 0.9 mile loop consisting of S Rosa Rd - Charmany Dr - Research Park Blvd. Registration is located near the intersection of S Rosa Rd and Research Park Blvd, and opens at 6 pm and closes at 7 pm. Each week, all riders must fill out a USA Cycling release form (available on-site or here, http://wp.wicycling.org/resources/race_directors/#forms), bring their USA Cycling license (annual and 1-day licenses are available on-site), and pay the $5 entry fee (bring exact change - no checks or credit cards accepted). Note: The entry fee is waived for those riders doing the B race if you corner guard for the A race.